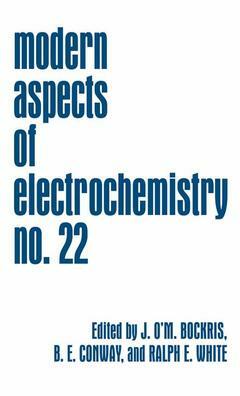 Covering both the theoretical and applied aspects of electrochemistry, this well-known monograph series presents a review of the latest advances in the field. Analysis of the Capacitance of the Metal-Solution Interface, S. Armokrane, J.P. Badiali. Electrocatalytic Oxidation of Oxygenated Alphatic Organic Compounds at Noble Metal Electrodes, B. Beden, C. Lami. Surface States on Semiconductors, R.A. Batchelor, A. Hamnett. Scanning Tunneling Microscopy Investigations of Low-Dimensional Materials, S.P. Kelty, C.M. Lieber. Microelectrode Techniques in Electrochemistry, B.R. Scharifker. Index.